A heavy-duty fabric constructed using high tenacity nylon fiber from INVISTA®. This fabric is the industry-leading choice for a variety of heavy duty applications such as outdoor gear, luggage, military gear, sport and duffel bags, backpacks, briefcases, wallets and a variety of custom cases and covers. This heavy-duty Cordura® fabric is a best-seller. Designed for maximum durability and long-lasting performance. 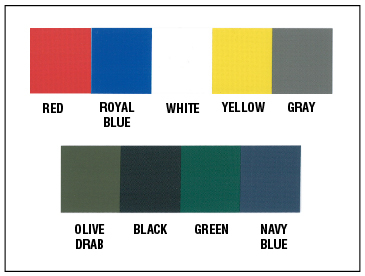 Mil-spec Cordura® is available upon request but may require minimum lots. Please call for current color options. A versatile, medium weight, flexible nylon fabric. Our fabric's clear polyurethane back coating and durable water repellent finish make the fabric ideal for a variety of applications. Common uses of nylon pack cloth are military gear and tactical vests, sporting equipment and duffle bags, backpacks, dust covers, flags, banners, laundry bags,and a variety of other cases and covers. An alternative to our 1000 denier Cordura, the 600 Poly is available in many colors and has a heavy duty PVC coating on the back, making it great for durable single layer covers, pouches, bags, and totes. A tough, synthetic fabric. The 2x2 basket weave of the Ballistic nylon makes this fabric the top choice for rugged applications where durability and tear/abrasion resistance are a high priority. This fabric is a popular choice in manufacturing soft sided luggage, protective vests and jackets, duffel bags, tool belts, heavy duty protective covers, and a wide variety of custom applications. 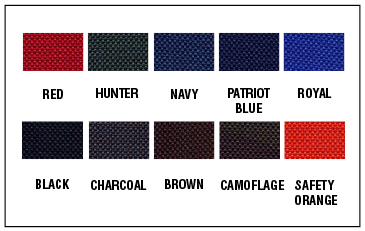 Herculite 80® brand military fabric is stocked in 18 ounce weight and is available in a variety of colors. Produced with woven polyester scrims for high tear resistance, it is also waterproof, mildew, ultra violet light, and flame resistant to Federal standard 191-5903. 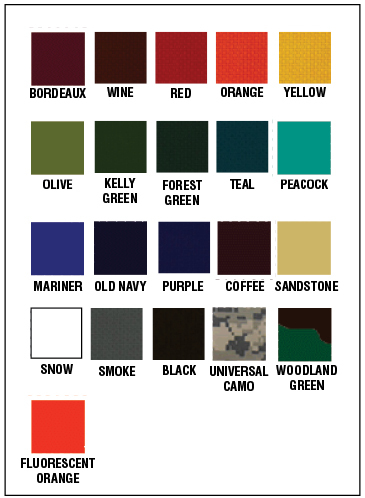 These military fabrics are produced to conform to mil-C-43006 and other applicable quality standards. 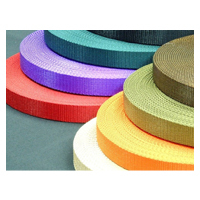 We have a variety of webbing styles, sizes, and colors to choose from. Standard sizes are 5/8", 1", 1.5" and 2" but others may be available. Contact for more information. 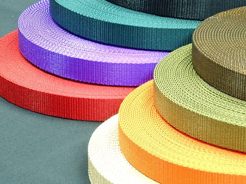 Velcro® brand is our fastener of choice. 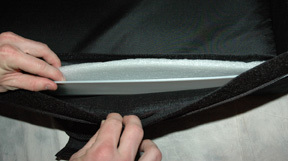 Velcro is durable, strong, and protective. 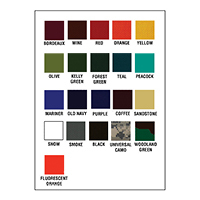 We offer both Commercial and AA55126 compliant hook and loop fasteners in a range of sizes and colors. 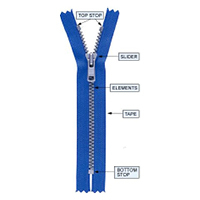 YKK is the only zipper brand to consider when you need a fail-proof zipper. Coil is our style of choice for durability purposes: with plastic coil teeth you never have to worry about rust or corrosion. We have 3 sizes to choose from, standard #5, Medium Duty #8, and Heavy Duty #10. Standard color is black, but other colors are available upon request for custom orders. 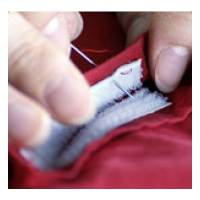 Zipper Sliders come with a standard tab; custom tabs are available but minimums may apply. Whether you need minimum padding for lightweight applications, or super thick padding for expensive equipment, we have the right foam for you. With a selection, you can choose from polyurethane, polyethylene, polyester, or crosslink. Standard thicknesses are 1/4", 3/8", 1/2" and 1" Other sizes are available. Our designers are here to help you choose the best foam to protect whatever is going inside your case. 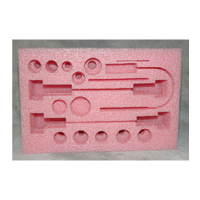 We can offer foam padding in 3 variations. 1.Padded foam walls of the case where we sew the foam directly between layers of fabric, giving the case shape and a protective outer layer. 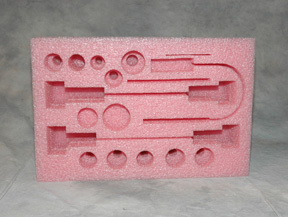 2.Custom foam inserts cut in-house, similar to the picture above. These fit right into the case and allow you to place items into the case with out fear of them shifting. 3.Pick N Pluck Foam- Sheets of small foam squares that you pull out to your own pockets or shapes. 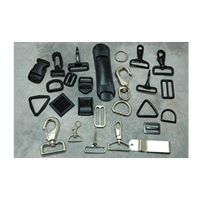 Fieldtex Products stocks a vast array of hardware. We have Nexus brand plastic (acetyl) D-rings, side-release buckles, retainers, snaphooks, (both swivel and stationary), and more. We also carry metal hardware in both nickel and black, as well as some materials in cadmium. There is also an assortment of shoulder pads and fabric, ID tags, luggage tags, grommets, rivets, glove fasteners, and more. We use top of the line ITW Nexus and Duraflex plastic hardware for most applications, however, black metal and nickel plated hardware is available for more robust applications. 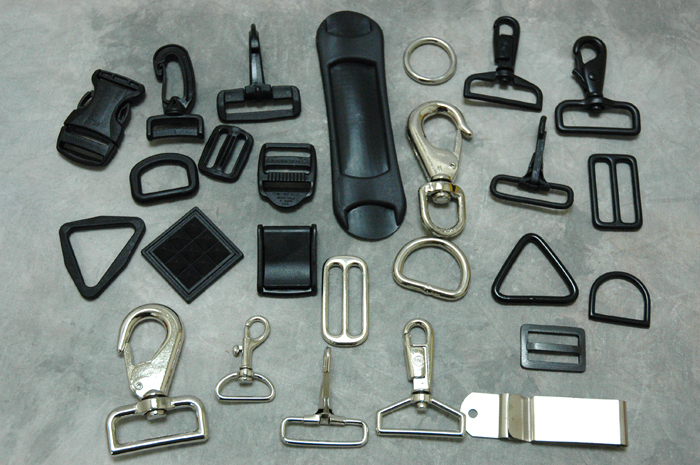 From quick release buckles to sliders, cams, and snap-hooks; if we don't have it, we can get it. When a soft case is desired but you need that extra rough and tumble feel, adding the right stiffener can make all the difference. We stock .120 chipboard, .040 & .60 ABS plastic (Acrylonitrile butadiene styrene), .060 and .093 HDPE plastic (High-density polyethylene), and 1/8" thick tempered masonite. Adding a hardboard will enhance the strength of your case, safely protecting whats inside from everyday bumps.